Now, lets talk about how to choose the perfect First Dance Song- sit back, grab a glass of your favorite wine ( grooms -beer) and here comes Lake Shore Dance Academy with help! 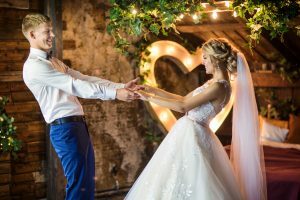 Our Top Wedding Dance Songs of 2018! As a dance instructor, I have appreciated many types and forms of love from the couples I have worked with. I have also learned that with each unique partnership, there is a song that perfectly illustrates their personality as a couple. And if we look back on 2018, the Royal Wedding of Prince Harry and Meghan Markle definitely echoes this. The Royal Wedding playlist is certainly an eclectic compilation of pieces. From Eternal Source of Light Divine by Handel to Stand by Me performed by Karen Gibson and The Kingdom Choir. Arguably, however, the most important song of the day was the one that was played for the first dance: Whitney Houston’s I Want to Dance with Somebody. 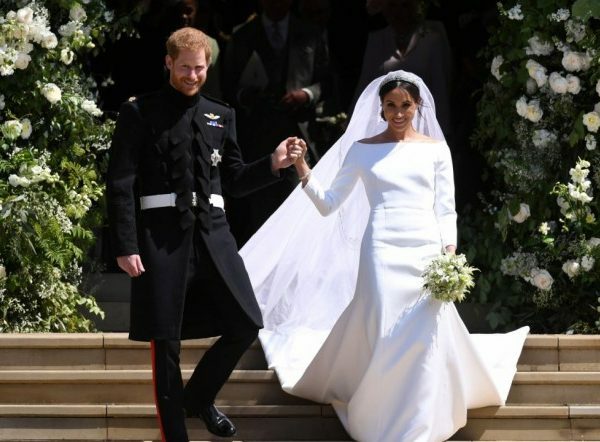 This song choice depicts a sense fun and upbeat demeanor of the Duke and Duchess of Sussex. Think about the type of message you wish to share with your close friends and family on your special day as you perform your first dance as a couple. Hmm, are you feeling a bit overwhelmed by this daunting task? Fret not! I have compiled a song list: Top Wedding Dance Songs 2018. Naturally, the first dance song from the Royal Wedding is featured on my playlist-Top Wedding Songs 2018, but believe me, this list was not created overnight. I turned to couples I work with and asked them about what songs they think of when they hear the words “love”, “wedding”, and “first dance”. I also reflected on the unique love stories my dancing couples have shared with me. 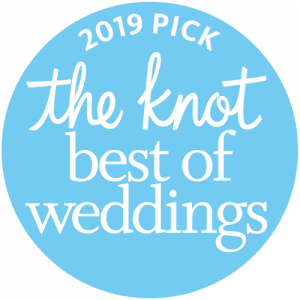 As a result, I was able to create Top Wedding Songs 2018 Spotify playlist that represents a myriad relationships. I’m hoping by now, you are feeling a little better about selecting the perfect song for you big day. But at this point, you are probably thinking about what you are going to do for your first dance. Will you sway back and forth in your lover’s arms, or will you dazzle your friends and family with a memorable choreographed dance? From the parties and weddings I have attended to my time as ballroom dance instructor, I have seen an array of first dances; and I have also heard many comments from fellow attendees and students. A frequent comment I hear, especially at weddings, is how someone wishes they knew how to dance. Then at the studio, many couples recount the wedding they attended where they saw a couple perform a choreographed dance and instantly ignited their desire to dance. Needless to say, I have learned that the first dance is an important and memorable part of a wedding. 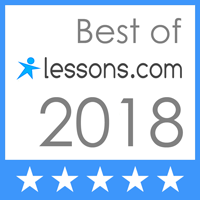 Don’t forget to start your dancing journey by selecting your song and check out top wedding dance songs 2018. Let me help make your wedding memorable for you and your wedding guests by learning a routine for your big day! To learn more check out our FAQ page, our Private Lessons page, our You Tube channel and TheKnot reviews.